Software Development is the key to success in this highly competitive world of business. Software provides solutions that reduces work force, paper work, monitoring, time and above all ensures transparency in all activities. We at Prolific recognize the importance of software development and offer services that provide cutting edge solutions utilizing the latest technologies. We have highly qualified and experienced team of software professionals with varied domain and industry knowledge with expertise that will add value and provide a competitive and distinct advantage in software development services. We offer both onsite and offsite services including offshore services in a professional and cost effective manner. 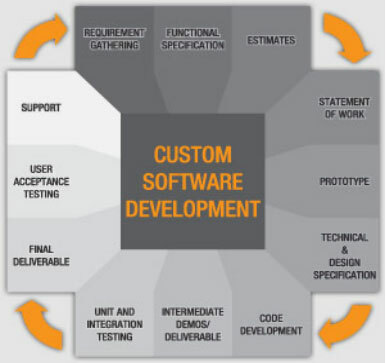 We offer software design and development services as per clients technical specifications. Our software development process involves active discussions with the clients through a well-thought out process involves active consultation, participation and involvement of experienced IT engineers. 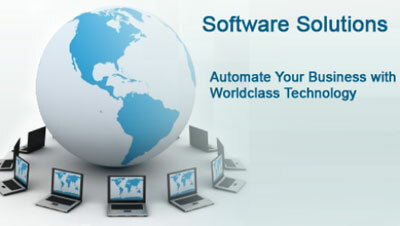 This ensures quality software products and solutions that suit the requirements of your business needs. One of our key priorities in software development is to develop a software product that is safe and secure. A software product without foolproof coding / programming has a potential risk towards safety and security of the entire database of sensitive information. We therefore, give special attention both at the development stage and during our testing phase to ensure that the coding and programming are well designed to prevent any breach of security.